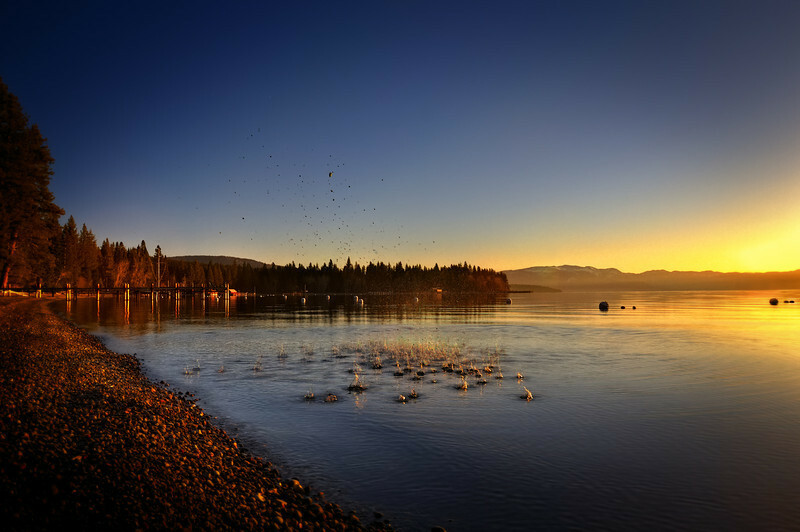 This Lake Tahoe sunrise image was an experimental creation. I set the camera to it's fastest frames per second and ripped off five frames 1 EV apart as a friend threw a handful of pebbles into the lake. I was curious to see how an HDR would work with the thrown pebbles sort of in the same vein of my HDR experiments with Yellowstone geysers previously. And like Yellowstone, it seems to have worked! I also added a slight vignetting effect to the finished photograph.